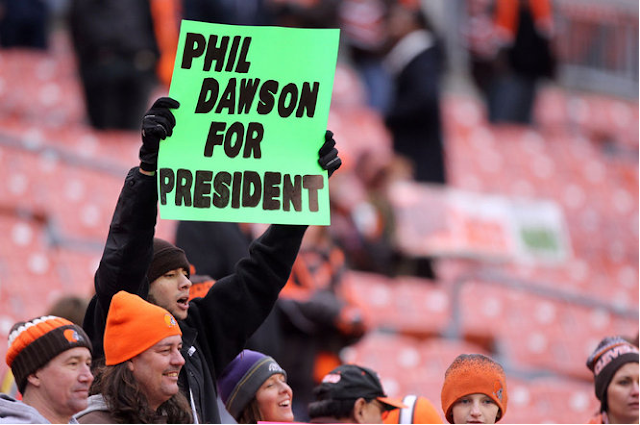 A Cleveland Browns fan holds up a sign supporting Phil Dawson during play against the Baltimore Ravens in the second half Sunday, November 4, 2012 at Cleveland Browns Stadium in Cleveland. Dawson, below, watches a 33-yarder split the uprights in the third quarter. 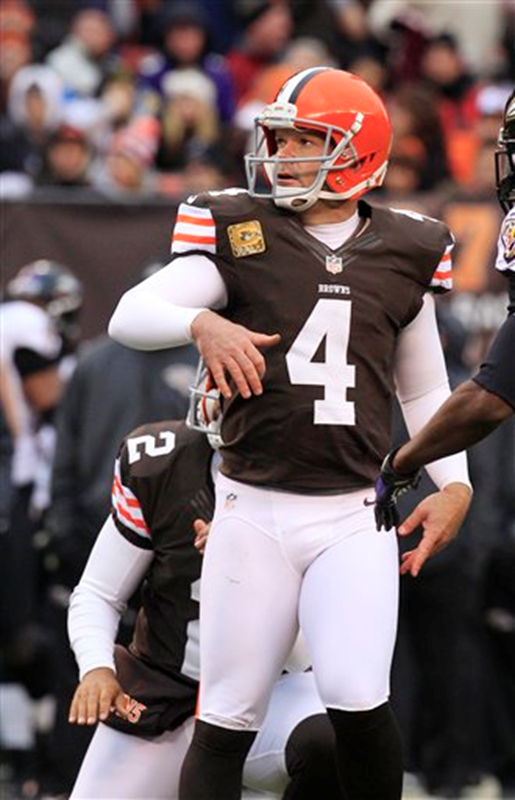 He made five field goals to score all of the Browns’ points, but the Ravens won, 25-15.